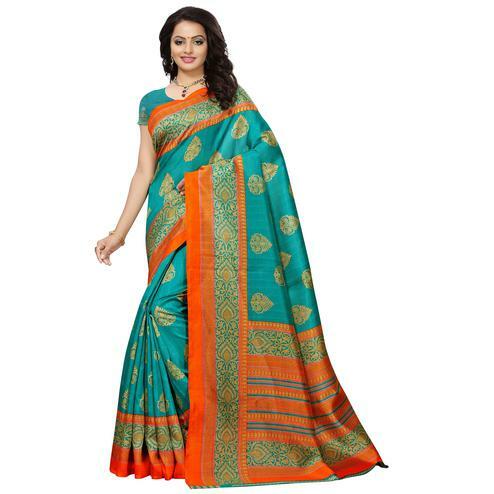 This multicolored saree designed with checkered & geometric stripe print work is sure make your look more beautiful. 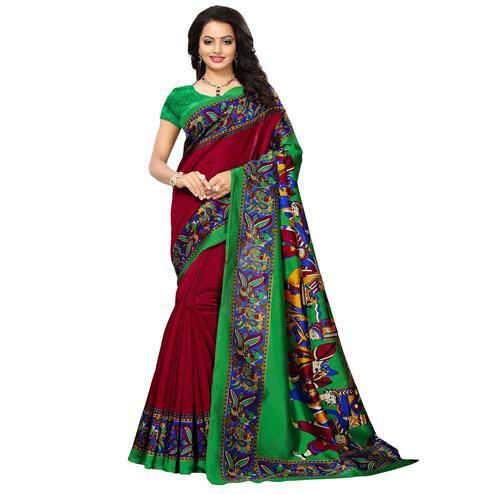 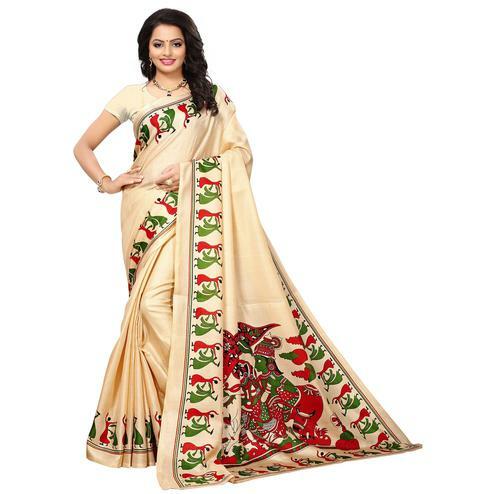 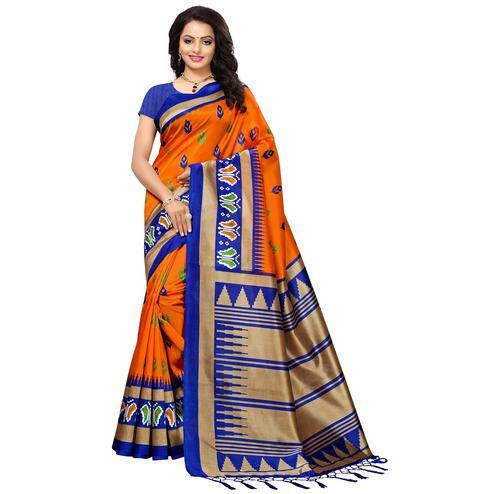 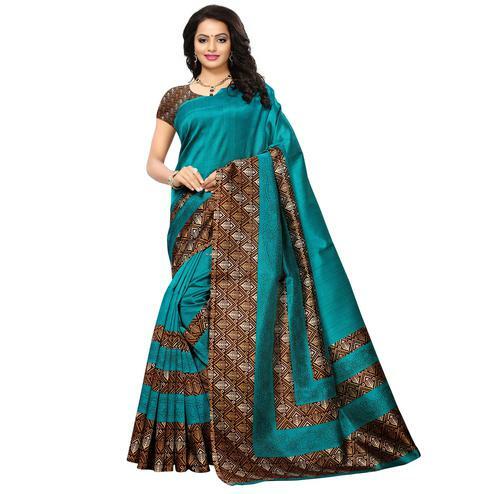 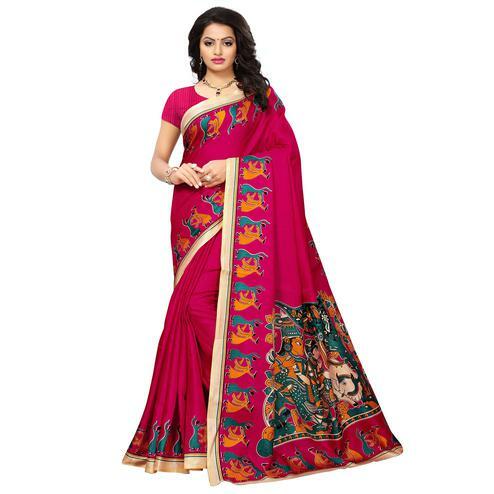 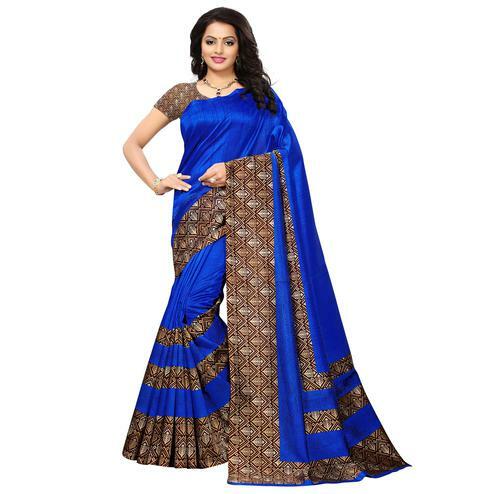 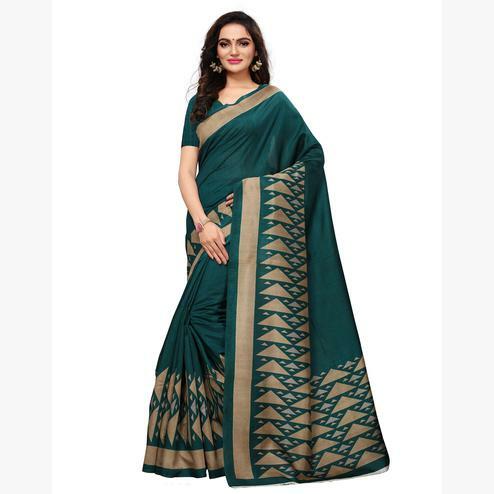 Made from bhagalpuri silk fabric, this saree not only looks good but its also comfortable to wear. 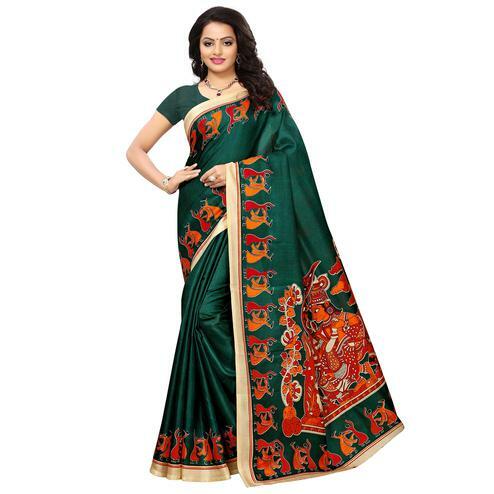 It comes along with matching fabric blouse piece. 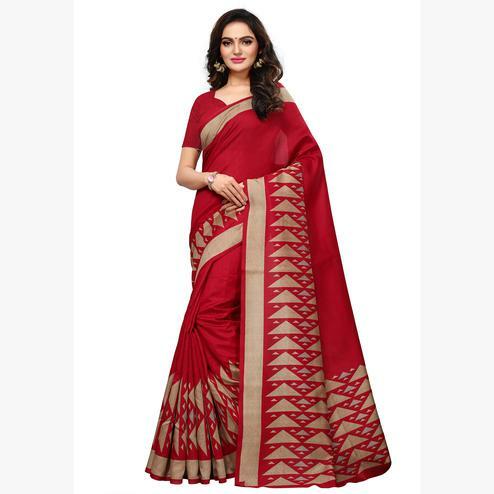 Ideal for casual & daily wear.